Aries: Those who are single might today enjoy an intense love life and a joyful personal relationship. An outing planned for the kids might have to be cancelled due to some unforeseen reasons. This would sadden them greatly. Students are advised to be alert today as logical abilities might be at it’s lowest. They would also need to be serious about their group studies. Teachers may start getting bored of their current job and work place. They might start considering offers from other places or education institutions. An energetic day ahead for sportsmen as they will feel up to any challenge. You will be vigorously healthy and charged up with vitality today. Taurus: Those who are single but in a relationship might feel happier, in control and ready to salvage a broken relationship with their lover. Children need to be encouraged by parents and teachers to be ready to face life full and square. A good day to seek out help from influential people in securing employment. Legal case, if any, in the court would today take a positive turn for you. A witness or a document or your lawyer will change the course of the case in your favor. A favorable time for students desiring to pursue higher studies. Those in the artistic field need to make the most of today. They will be successful in gaining employment opportunities in their field. Gemini: Reach out to the person you love and celebrate togetherness today. Parents are urged to encourage their kids to have a positive outlook on life. It would prepare them to face anything in life. You might get a new job offer today. This job would bring you fame and recognition. Advocates can expect new cases coming their way today. These cases would bring reputation and money for them. Parents, teachers and friends will guide students today and help them choose the best option for their higher studies. Those in the artistic field will get an opportunity to pursue higher studies abroad in their chosen field. Cancer: You might be very busy at work today. This might not allow you to keep the promise of meeting that you have made with your lover. Those who have recently gotten engaged will spend the day shopping and preparing for their wedding. Try and explore new places that you haven’t been earlier, during your trip today. Businessmen and industrialists may today get an opportunity to make long-term property investments. Those in the real estate business might today buy some land or property. A favorable day ahead for teachers and their work today. Leo: You love to spend your time outdoors. Today you will spend a pleasant, romantic day with your beloved outdoors. A long vacation at an exotic destination is on the cards. Doctors may have a busy and stressful day ahead. Accountants are advised to seek expert advise before wrapping up their current project. Else there might be problems which would surface later. Politicians planning to contest in the coming elections may find it difficult today to meet the party leaders for a ticket. A tight control on finances will help maintain financial stability. Virgo: You might meet someone new today at work. And there would be sparks flying all across as romance blossoms. A good and happy day for the elderly. They would get along well with people of all ages they meet. They would also set examples for the young with their experience and zest for life. Those seeking a job would be presented with new employment opportunities. They should make the most of these opportunities. Senior advocates might be selected to chair respectful positions within the judiciary by officials. Students appearing for their higher study examination may expect good results today. Sportspersons may expect a call letter or an invitation for an interview for a new job. They would get this because of their talent in sports. Libra: People in a romantic relationship will be very happy today as they will get to spend the evening with their beloved. Those seeking an employment opportunity might meet someone influential today. They need to ensure that they make a good impression. Lawyers might have to give their opinions and deal directly in some important legal affairs that they are dealing. Real estate agents will face a dull day today in business. They will also feel mentally detached from their work. Students would have to deal with distractions and difficulties today. Their lethargy too would delay projects. 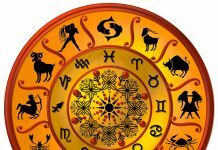 Sportspersons awaiting confirmation for a new job may expect to receive the orders today..
Scorpio: A difficult day ahead as you might find it tough to do some straight talking in a relationship. Do not waste too much time analysing things. Children going out for boating or trekking need to be very careful. Adults accompanying them should take all caution as minor accidents are predicted. You are very keen on gaining knowledge through your travels. You learn new things about people and places as you travel. Share market investors and brokers might find meetings with important people turning out to be very beneficial. Teachers should keep an open mind today. They might require to be a little tactful to deal with unusual requests from students. They would surely be able to win over the students. You will be in the pink of health. So you needn’t worry about falling sick today. Sagittarius: Those who are single might meet their true love today. A travel is predicted for today. This journey would be to complete a matter that has been pending for some time now. Those in involved in trading in the share markets would today stay away from work to enjoy the day with their family. Politicians would today be noticed by people who matter and are influential. This would be very beneficial for their career. Financial problems that might crop up during the first half of the day would get sorted in the latter half today. You will be in the pink of health. So you needn’t worry about falling sick today. Capricorn: Those in love must now let go of their past and open up to allow the future in. holding on to the past will only close them to the happiness that might come to them. Those who are single must now start thinking of their own welfare. They should now take off some of the extra responsibilities that they have been carrying upon them. Family functions or get-togethers today will make the elders in the family very happy. They would be glad to meet all their sons, daughters and other relatives. Those in the technology field may feel proud of their job as it will bring them fame and reputation. Students would today spend their time seriously preparing for their exams. They would not waste any time as they plan their schedule very efficiently. Sportspersons may expect to be rewarded for their achievements in their respective field. They might receive a lifetime achievement award..
Aquarius: A long trip is predicted for you. The journey would take you away from your family for some time. Patients may create small problems today. Doctors are advised not to lose their temper and to be patient. Those in the field of technology may have to face a disturbing day at work today. Sometimes their materialism may even be taken for arrogance. Accountants need to be very careful today while handling important files. There are chances of committing errors if not cautious. A favorable day ahead for those planning to build their own house. Although income might have come down, there would still be an inflow of cash that will help you keep your financial commitments. Pisces: Not a favorable day for those seeking a new job. But hey need not lose hope as opportunities will some their way soon. Those in the field of technology may be mentally disturbed today. They are advised to keep calm or they may get into conflict with their colleagues. Clients will today show their gratitude to share market brokers for having invested in reliable shares. They would be very happy with the returns they get from their investment. An outdoor trip will do a lot of good for your health. It would also help you relax mentally and restore your mental balance.